The audio on Warner’s new Blu-ray, which has finally been released months after it appeared elsewhere, is brilliantly rendered on this new disc. Andre Previn’s work, which can be heard in all its crystalline clarity on the stereo tracks has stood the test of time, and I’m not at all certain that things have gotten any better half a century later. His work is extraordinary. Gigi was the Best Picture of 1958, and while I would so like to be able to report that the film has stood the test of time it has not. Photographed on Eastman 5248, a stock known for its less than stellar aging characteristics, has become the nemesis of this great film. With a myriad of digital tools at its disposal, WB has not been able to bring Gigi back to life, and they have tried. Here is something important to understand. Blu-ray has been proven to be a superior carrier of high definition information, which has created high expectations by the consumer. It is those expectations that unfortunately have not (and apparently cannot) be met by this release. The end result of the Gigi Blu-ray is an awkward, occasionally poorly colored hodge-podge of faded originals, dupes and clear attempts to pull something — anything — out of the extant elements. Reds in some cases have a tendency to posterize; blacks are uneven; blues go far too blue and flesh tones are not only extremely inconsistent, but sometimes downright unpleasant, taking on a colorized appearance. Resolution is also a problem, possibly brought on by dupes. Gigi, which was a glorious entertainment half a century ago, is sonically brilliant, and visually a bit of a mess. This is painful, as Gigi is still as charming as it was originally. And if one squints to avoid the image, one can still imagine what led Academy voters to make it the Best Picture of 1958.
and at least we have it on Blu, albeit in an imperfect form. I agree with your assessment of the film's look. However, I also feel that it is vastly superior, image-wise, than its dvd predecessor. The biggest problems in the BR that I noticed were blurring during dissolve shots; a common enough problem in digitally restored films. I noticed a little noise, married with film grain. My solution to all was to change my BR player's color to the warm 1 setting, and reduce the sharpness. It didn't solve all the problems but did make the film flow much easier to the eye. Still, the BR gets about a 4 star rating in my book; I also hope that they revisit it at some point, as restoration technology improves. A previous version on a less highly resolved home video format is not a suitable case for comparison. The "blurring" during dissolves is a normal function of the duping process used for that film, as the OCN was cut single strand. Dissolves were physically cut in as dupes. There should have been film grain. You do offer a novel means of getting around the problems in lowering your sharpness. Unfortunate, but not bad, as sonically the BD is superb. I wish this were otherwise. The grain in and of itself wasn't a problem to me; I expected it. The problem I had started right there in the opening credits. When I first ran the film, I saw the grain, but there was so much digital noise combined with that grain that it looked like ants running around the actors' names. That's why I lowered the sharpness. When the film moved to Grandmama's red salon, that's when I decided to go Warm with the color settings. The redness was (somewhat) reduced and the actors' faces turned back to human colors. My meddling did not solve all the film's problems, but it helped. Meddling with control settings is just my sort of armchair solution to dvd problems–always has been. Dozens of other posters will perhaps howl at the mere idea of even having to manipulate their television's settings–they believe that "getting it right" is the job of the film restorers and the dvd engineers. I respect their views. But manipulating color, sound and image quality on my tv also gives me the chance to play Amateur Film Restorer myself. At any rate, no one dvd restoration is going to make everyone happy; therefore, I'm surprised more people aren't willing to do this. With me it's an obsession almost. I spent a good 1/2 hour trying to make the "Little Nemo in Slumberland" dvd look good as an upconvert. It was hell, but I finally got it to a satisfactory playback image. With Gigi it only took about 1 minute to get it to my satisfaction. On other dvds, I also habitually fiddle with blackness and contrast settings. My meddling did not solve all the film's problems, but it helped. Meddling with control settings is just my sort of armchair solution to dvd problems–always has been. Dozens of other posters will perhaps howl at the mere idea of even having to manipulate their television's settings–they believe that "getting it right" the job of the film restorers and the dvd engineers. I respect their views. But manipulating color, sound and image quality on my tv also gives me the chance to play Amateur Film Restorer myself. Point is, and I'm noting this for other readers, that one shouldn't have to meddle. In this case the film elements were apparently too problematic. With 5248 this occurs. Mr. Harris, is there anything more that can be done with the elements to improve the image quality, or is this the best it can look now? Or is it more of a transfer problem than an elements problem? This is not a transfer. The elements were scanned. And the problem is the elements. I know for a fact that the archival team at WB worked very hard to get it to this point. Hopefully more advanced digital tools will become available that will be able to give further aid in the future. Thanks. What a shame. Hopefully better tools will appear one day, and if not, it's certainly better than losing the film completely. I agree 100% with Robert Harris. 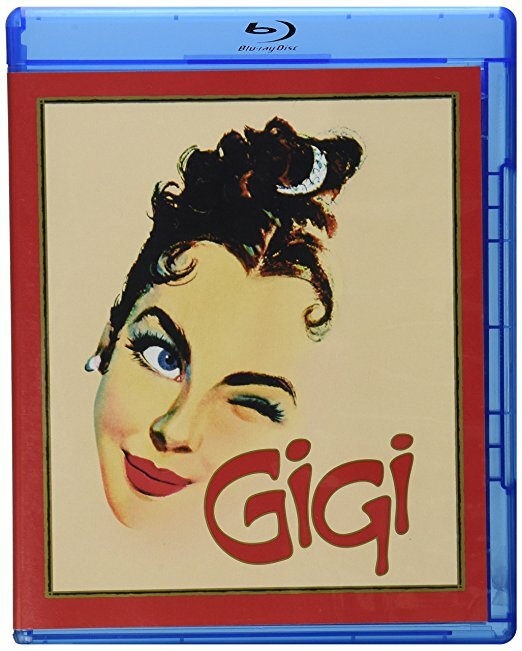 After reading many encouraging reviews of the Blu-ray GIGI, I wondered for a while if it was just me that found the picture quality to be truly awful. Certainly the sound of GIGI, which has always been problematical in the past, is vastly improved on this disc. But while there is certainly more detail on the Blu-ray, it's all the things that Robert Harris highlighted that plunge this disc to one of the biggest disappointments so far this year. Save for a few odd scenes that do look OK, the rest is almost unwatchable. Compare this with the stunning SOUTH PACIFIC and you have to wonder what went so wrong. I was also disappointed with the inaccurate dirty looking skintones of QUO VADIS, THE ROBE and AN AMERICAN IN PARIS. SOUTH PACIFIC is, thankfully, 100% accurate. The Robe elements are not in good shape, and the restorative work that's been done has worked wonders. Re: Quo Vadis and AAiP, I'm seeing no problems. You may be picking something up in the makeup used in that era for three-strip. These are quality discs. While I may not be as active or technically involved as yourself, I have none the less handled and Projected 35mm film since the mid 50s. The dirty look I describe, I'm almost certain, has nothing to do with make up. I am at the moment holding and looking at an original 1950s 35 mm frame from THE ROBE in which the faces of Richard Burton and Torin Thatcher have that magical Technicolor Golden tone. On the new DVD the tones are muddy in comparison. Compare skin tones of SOUTH PACIFIC with those other titles I mentioned and you should see the difference. I'm not sure if many of today's colorists or whoever is responsible for the look of the finished DVD have an understanding of original Technicolor. I wonder if they might be too familiar with today's color and think all films should look that way. Universal, more often than not, seem to get the Technicolor tones correct on their Older classic DVDs. I agree with you that THE ROBE, AAIP and QUO VADIS Blu-Rays are all excellent, finely detailed, quality discs, pity about the skin tones though. ps. I am one of the many who truly wish you every success with the restoration of THE ALAMO Robert H.
The Robe was hit by a double technical problem. Faded OCN with a myriad of dupes, and protection created on the earlier (and far less adaptable stock) 5216. There is only so far that a film can be taken color-wise, if there are no really viable elements. I understand where you're coming from in your comparison to dye transfer, but they've taken it as far as they can. Thank You for your explanation Robert. It's obvious from what you say, that Fox have indeed done wonders with what they had to work with. Other than my small criticism regarding tones, the ROBE Blu-Ray is an A+ disc. It's just so frustrating that my lone surviving and slightly damaged 50+ year old 35mm frame from THE ROBE still holds all of it's original color. For those members who can view my avatar, the same cannot be said for my pink CARMEN JONES strip. I found Gigi to be… not that bad. It's a great film, and this is the best it's ever looked on home video. The Robe, on the other hand, looks so odd that I can hardly watch it. If this is the colors originally intended, then…I don't know what to say. There is no real red at all in the image. All the Romans' capes are brown. The whole thing looks yellow/blue, including the skintones. My main lament with Gigi (it's not really a complaint if the source materials are shot) is the lack of texture and details in the background, especially Mamita's apartment. Take any shot in that apartment from the dirty old DVD and you'll see great detail in the fabrics and wallpaper where on the new restoration (even when shown theatrically a few months back) you see just a blur of red and purple. Too bad. I hope they can revisit this title when the technological advances permit. I agree; on the other hand, notice the wallpaper in Auntie's bathroom; it comes alive in the new version. I could barely make it out in earlier releases. Who knows. Does any one remember a transfer of GIGI used for tv showings in the 1980's and I think also for a vhs release, where during Louis Jourdan's performance of the title song, instead of showing him singing, they showed a series of stills of Lesley Caron? I wondered then if the condition of the elements forced them to do this. Anyone have any ideas about this? It seems like the 80's were not a great time for vintage films with rampant colorization and then there was the tv version of REAR WINDOW where they essentially re-edited the movie. My VHS copy of "Gigi" used that freeze-frame device… Released in Australia by MGM/UA in the 1990's. Does any one remember a transfer of GIGI used for tv showings in the 1980's and I think also for a vhs release, where during Louis Jourdan's performance of the title song, instead of showing him singing, they showed a series of stills of Lesley Caron? Wow… thanks for the comparison. That series of stills was very jarring. Glad at least this was not done in the current blu and dvd versions. Thanks for posting. Wow, I had never seen that version. Thanks for going to the trouble to put that together. I watched GIGI various times over the years on television, in fact the version I watched for many years was one I had taped off of a PBS airing, and it definitely did not have the stills. It would be interesting to know the rationale for inserting those. I also had the first widescreen laserdisc and it did not have the stills either thank goodness. I would have been horrified. I think I first saw those stills on a PBS airing around 1982, long before Warner or even Turner got their hands on the film. I never saw an actual print that had them, only video transfers. I've heard of telecine operators taking liberties zooming, tilting and so forth in order to make something look better on the small screen, but substituting stills is way over the line. I think the telecine operator had delusions that he was actually the filmmaker! The only comparable "home video" abuse I can think of off hand is the weird manipulations committed to JUMBO. In the black-light butterfly scene artificial circular black borders were superimposed around Doris and Martha in a shot which in Panavision showed both characters, but in pan and scan "popped" back and forth between them. Plus, the finale was framed by a video encoded border which changed colors to match each segment, similar to the one used during the main title and introductory song of Stephen Boyd. Vincente Minnelli passed in 1986 – I can't see that video edit happening during his lifetime… Heads would have rolled. If you look closely at the video I posted there are very slight "flashes" in the DVD version during the footage which was replaced by the stills, but nothing that really justifies hiding it. The damage may have been more evident in the source used for the 1986 telecine but we can't determine that without being able to see what they were working with. 1. Colored border/slightly squeezed credits/gate weave obvious/width of border changes throughout/as Boyd enters frame the ratio "unsqueezes"
3. End of "The Most Beautiful Girl in the World," dissolve altered. Fade to black substituted. 7. Border added to finale which changes color to "match" on screen action. Found this 1986 article by Tom Shales on the "Gigi" issue. I suppose the mystifying decades' long tolerance of pan&scan, commercial interruption, truncating, editing and so on for presentations of movies in those days gave technicians, maintenance crew, janitors and just about anyone else wondering around a studio the comfort in knowing they could do almost anything they wanted to these works and very few members of the viewing audience would complain. Good lord. July 16, 1986|By Tom Shales, Washington Post Writers Group. Still, many a film has its fateful flaws. When a technician was transferring the MGM musical “Gigi,“ he found a few frames fogged during the title tune, in which Louis Jordan stalks around Paris singing Gigi`s praises. So he went back into earlier reels and created still photos of Leslie Caron as Gigi, then inserted them during the song in place of the fogged frames. This is the kind of thing that gives film buffs, and film directors, justifiable fits. GREAT find. Enjoyed reading that. As I said before – 1986, the year Minnelli passed away. If he had been in better health and was aware of the situation, he very well might have spearheaded a restoration. I LOVE musicals, especially of the 40s,50s, 60s. But, I've tried twice to see this film and I can't finish it. First time I must have seen half an hour, 2nd time a bit more..
What everyone thinks of this film? It seems a bit of a mess to me. And also, I don't especially like the songs too. Some many years ago,during the lifetime of a previous generation of great conductors, one of them was dutifully talking to the audience after a concert because the generally ignorant people with whom he was faced were major subscribers to the orchestra. I like Gigi a lot. I think it's a marvellous film although many people today will find the idea of grooming a young girl to become the mistress of a rich man highly distasteful. I've never bought this Blu-ray disc because of the problems Robert Harris has outlined. I do hope that in the nine years since this thread appeared, digital processing has matured sufficiently to persuade Warners to have a second try with this film. I think the score to Gigi is marvelous, full of catchy and inventive tunes, and I don't find anything in the film a mess. I agree that the Blu-ray transfer has problems with the Metrocolor with timing that makes skin tones too brown and occasional shots that look very digital and unappealing. But the film itself for me is wonderful. I reviewed the film long ago as one of the first Blu-rays I got to review here. I don't know if the review is still present on the server or not. Addendum: The review is still on the server. It can be found here. I also enjoy this movie, and have also held back on purchasing the currently available blu after reading most of the comments about it on HTF. Does anybody hold any hope we might get a new transfer, possibly even this year (since I think it should be the film's 60th anniversary, and we all know how much the studios like to celebrate with "anniversary" releases)? Unfortunately, Warners doesn't do second HD transfers. There are several sub-standard Blu-ray discs that Warners put out in the early days of high definition which have not been replaced. When Rio Bravo was re-issued on Blu-ray disc, the original low-quality transfer was used again. I now recall reading of the disappointment regarding that same brownish leaning color palette transfer being used in the Warner reissued RIO BRAVO (1959) Blu-ray. Maybe your understandable biases have something to do with "My Fair Lady". Now, if "My Fair Lady" is a film that you love, then "Gigi" may still have a chance of winning you over. Both of these films and their stage renderings share much in common. How deeply into their shared histories you want to go is all up to you. I also recommend your watching the French version of "Gigi" that came with your BD copy. And, yah, with so many technical advancements since the initial BD release of "Gigi", its high time for Warner Bros. to do a makeover. Gigi needs a proper restortion. Amen, brother. It should and could look great. such a restoration would make the difference between one disc being a sham and the other a Shamroy. I've watched My Fair Lady only twice but I loved it of course (need to get the bluray asap). And I LOVE the songs too. But this, i don't know why I can't get into it. Well, Konstantinos, I'm gonna let you in on a dirty little secret. To begin with, "My Fair Lady" is a better film than "Gigi". "My Fair Lady" is also a better play, as well. No doubt, there's much to love about "Gigi", but "My Fair Lady" is superior and shall always plainly reign. It's unforced. It flows. It doesn't try to jam square pegs into round holes. But, like I said, check out the full histories and developments of both these works from Lerner and Lowe, for further insights. Meanwhile, Mr. Konstantinos, get your hands on a BD copy of "My Fair Lady", pronto. And for God's sake, make darn well sure its the 50th Anniversary edition; as restored by one Robert A. Harris. No joke, you must avoid that other BD at all costs. Well, with all that I've said, I would still double-dip on a BD of a restored "Gigi". After all, while Elizas' got her Show-Me's; Gigi's has her Shamroys. Come to think of it, I believe that the full history of how "Gigi" and "My Fair Lady" both evolved is available with the one of the many fantastic supplements found within the 50th Anniversary edition of the MFL BD. Actually, GIGI was also a Broadway play during the 1951-1952 season, based on Colette's novel. And in yet another bit of irony, the play starred MY FAIR LADY's Audrey Hepburn as Gigi. Rich beat me to it. That's funny. Chronologically, you are correct; but "Gigi" was made into a stage musical. Yup, this is the stuff I suggested that Konstantinos look into. The two stories of "Gigi" and "My Fair Lady" are absolutely fascinating. Well, if you weren't so busy writing some of the best damned thesis' on primo transfers, you would have gotten there first. Thank you Robert Harris for the honest review. I always enjoy your reviews and know that we are getting a very honest and accurate review every time. It is a shame that WB was not able to resolve the issues with this film with current technology and I agree that hopefully in the near future those issues can be resolved. I have not yet seen this classic and I know I need to make an effort to see it in the near future. There are so many movies that I have not seen and hopefully I will see them as these classics deserve as much time as the newer films do. Due to financial issues this film will have to wait as other releases for me are higher on the purchase list currently. But I will be adding this title to my purchase list and will get it eventually especially if I can get it for a good price due to the issues mentioned above. I am sure we would have loved to see a transfer more along the lines of My Fair Lady but like Robert Harris said above. Will just have to enjoy the movie the way it currently is and hopefully there will be a fix down the road. I’ve never been a fan of “Gigi,” though I’m willing to grant its quality production. However, it has always seemed too mannered, badly in need of some literary paprika. “My Fair Lady” is far better, but I remain unrepentant in my preference for “The King and I” over either of them. I am very surprised that MGM, Freed and Minelli didn’t use the stock that had served them so well previously (see “Meet Me in St. Louis” and the non-Minelli “Singin’ in the Rain,” both beautiful in blu. I've never been a fan of "Gigi," though I'm willing to grant its quality production. However, it has always seemed too mannered, badly in need of some literary paprika. "My Fair Lady" is far better, but I remain unrepentant in my preference for "The King and I" over either of them. I am very surprised that MGM, Freed and Minelli didn't use the stock that had served them so well previously (see "Meet Me in St. Louis" and the non-Minelli "Singin' in the Rain," both beautiful in blu. Meet Me In St. Louis and Singing In The Rain were shot with 3-strip Technicolor cameras, which were obsolete by the time Gigi was filmed. I’d personally prefer the teal The King and I being properly restored in al its glory before this mysoginist claptrap. Gigi in my opinion is one of the most glorious musicals ever made! I saw it first run as a child, and played the soundtrack until I wore out several copies. It remains my top favorite although I have probably seen all the others. Prior to Broadway Gigi was a 1948 French film. Gaston's eventual, clear-headed request of Madame Alvarez regarding Gigi, how and why he arrived at that unavoidable decision along with the beautifully expressed needs of Gigi that helped to get him there is a powerful statement of deeper and committed emotional love and caring. As a romantic love story, it seems miles more mature and understanding than most film love stories of the past few decades. And on that count it also leaves My Fair Lady in the dust. That is, if one thinks Shaw was even trying to whip up an environment where romantic love could take root rather than engage in endless dithering, world class brilliant dithering to be sure, in order to discourage one. The male protagonist in each knows what the most important lady in his life is longing for but only one seems to have the fire, maturity and courage to act upon it. I am a big fan of both. But when I want to experience and share with my loved one the pleasures of a good romantic love story (musical), I choose Gigi for my home theater screening over My Fair Lady. Shaw’s play ends with the two not together and with an epilogue telling what happened when she married Freddie. They wanted to make sure those who thought they were watching 1953's Lili weren't confused. ERRATA: Sometimes I get Leon Shamroy confused with Joseph Ruttenberg. It's actually an understandable mistake, being that both are still the only DPs to have won four Oscars. Sorry 'bout that Mr. Ruttenberg. And now, back to our posts and hopes towards a restoration of "Gigi". I'd personally prefer the teal The King and I being properly restored in al its glory before this mysoginist claptrap. Gigi was revived on Broadway a few years ago, and it failed. Now, listening to the cast CD they released when it came out (the newest revival) I can’t understand how this didn’t succeed. If anyone likes the score to GIGI I highly recommend the original cast CD that was released a few years ago, it’s got great vocalists and superb orchestrations and just a beautifully recorded original cast CD. It has become my favorite Broadway cast CD of the last 5 years. This is the cast with Vanessa Hudgens. All of the music is included including the waltzes! The audio on Warner's new Blu-ray, which has finally been released months after it appeared elsewhere, is brilliantly rendered on this new disc. Andre Previn's work, which can be heard in all its crystalline clarity on the stereo tracks has stood the test of time, and I'm not at all certain that things have gotten any better half a century later. His work is extraordinary. Probably a little late to bring this up and not having the blu ray on this to do an A-B comparison. I did the audio for the laserdisc release. At first I was supplied with a dupe stereo audio track , of which sounded lifeless, no high end so I rejected it. Fortunately the replacement, although not the original mag master, had all the high end and transparency that was missing and sounded as you described, which I assume what was used. MGM's method on their stereo titles was to put the LCR and the mono surround track on separate magnetic reels. So one had to be careful to synchronize them perfectly using the head 'pops'. In all its venues, your career and expertise is part and parcel as to why we love motion pictures, home theater and having the gift of hearing. Thank you, Stephen, for playing an integral part of these…our great, great pleasures. When that laserdisc of Gigi first came out, I had just installed my first ever Dolby Surround Pro Logic sound system and that disc sounded glorious. It took my breath away in fact. I hope you realized that the audio was a Dolby Digital 4.0 discrete track? Probably. That was so long ago now my memory is fuzzy, but what is not fuzzy is that it sounded fantastic and I was thrilled. Thanks KPmusmag. I always believed in optimizing the track without any kind of processing. Well, when laserdisc died, it didn't go out without a fight. DVD has the capacity for uncompressed sound, but it was and is rarely used because they went for quantity over quality. Blu-ray and UHD managed to strike a balance…most of the time. I'd love to seen this ending in the film, as Freddie was so devoted to her and Higgins was such a misogynistic cad. The pair recede happily down the street. Perhaps the last the very last shot could be a paraphrase of the one that actually appears: Higgins is in his chair and Pickering approaches from behind him. Without looking over his shoulder to see who just entered, he says, presumptuously, "Eliza, where the devil are my slippers?"